Does your unwanted hair bother you? It’s unsightly, and then there’s the shaving, the plucking, the waxing. Can’t you achieve smooth, hair-free skin some other way? The answer yes, you can have the beautiful look you’ve always wanted with laser hair removal from Dr. Robert Zabel at the Center for Dermatology in Lakeville, MN. Used on both men and women, this dramatically effective process produces outstanding results comfortably and quickly. Say goodbye to shavers and tweezers! Dr. Zabel will discuss your skin care options and medical history with you during a personal consultation at the Center for Dermatology. Most healthy adults are good candidates for laser skin removal in Lakeville, particularly because your board-certified dermatologist uses short wavelength laser instruments that are particularly gentle and effective for even darker skin tones. The doctor will examine the areas you wish to treat and advise you that you refrain from waxing or plucking those areas for several weeks before the procedure. You should avoid excessive sun exposure and tanning, too. During the actual hair removal procedure, your specially-trained aesthetician will prepare your selected skin areas with a mild topical anesthetic and give you eye protection to wear. Then, she’ll use the handheld laser to deliver short bursts of light to the skin. You may feel some heat, but basically, the short procedure is painless. Treatment time depends on the size of the areas treated. As the laser passes over the skin, it effectively destroys the hair follicles. You’ll see results at home over the ensuing few days as the unwanted hair falls out, and the treated areas may look a bit red and feel sore as though you have a mild sunburn. You may need repeated treatments every six weeks or so over six months depending on your results. Then, you’ll basically have the smooth look you desire with only occasional touch-ups needed, says the American Academy of Dermatology. You’re in good company when you receive laser hair removal treatments. They are one of the most popular cosmetic skin services in the United States today. Enjoy the freedom and attractive appearance of hair-free skin. Contact the Center for Dermatology in Lakeville, MN for a one-on-one consultation with Dr. Robert Zabel and his team. 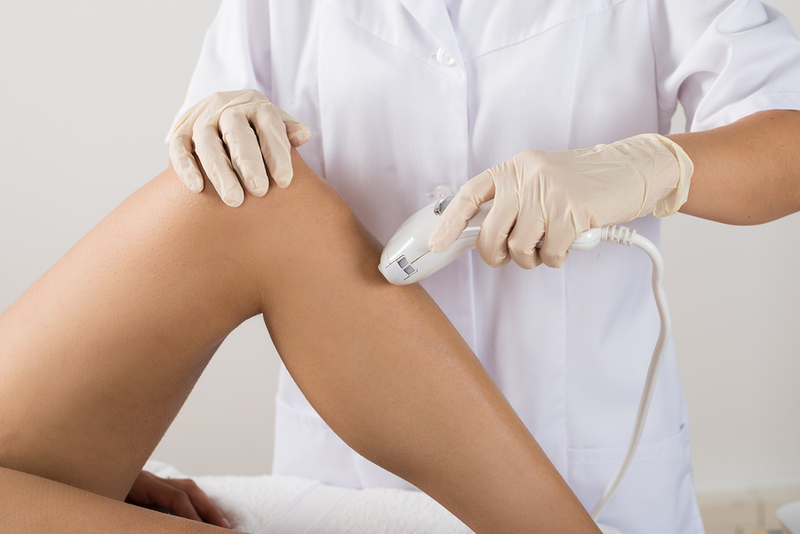 Learn all about laser hair removal and how it can work for you.